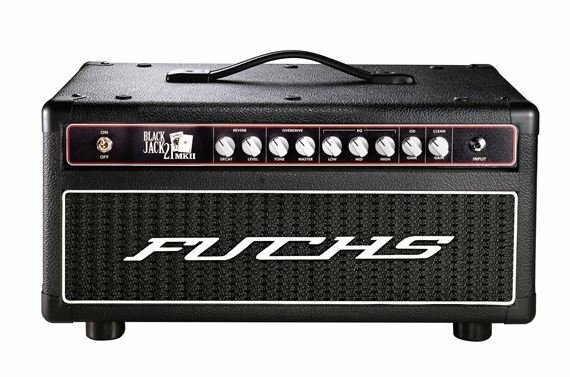 Shop Fuchs Blackjack 21 MKII Guitar Amplifier Head from AMS with 0% Interest Payment Plans and Free Shipping. The Fuchs Blackjack 21 MKII Casino Series delivers the great Fuchs ODS style tones that put them on the map, to a more affordable format. While sharing circuit DNA with the ODS/TDS series, a simpler construction style and more basic feature set allow Fuchs to bring these same great tones to the working professional. Front panel power switch, rear panel fuse holder and standby switch. Regulated DC preamp tube heaters and relay power for lowest noise and stability from line voltage variation. Buffered series effects loop, 4-8-16 ohm outputs, via custom wound power and output transformers. Built in an aircraft grade aluminum chassis and are a mix of high quality .062 double sided PC boards and point to point wiring. Channel switching is provided via sealed noise free relay switching. Cabinets are made of light-ply, an environmentally friendly highly resonant plywood that is about half the weight of birch or pine cabinets. The Casino amps feature the same great digital reverb technology found in the Verbrator pedal. A unique circuit design mixes the wet reverb signal with absolutely no effect on the pure tube dry signal quality in any way. It also features an adjustable decay control and is warm and bouncy unlike most digital reverbs can be. Tubes: 2 x 6V6 21-Watts Class AB 3 x 12AX7 Preamp tubes. Dimensions: 19 x 11.5 x 8.5"